I know everyone is dreaming of having a garden behind their house and taking a walk surrounded by beautiful greenery. There are so many chemicals in the market that give you quick results, but the most effective long-term plan is to be eco-friendly to your garden. In this article, you will find remedies to control your garden from pest and also practice natural methods. In the following steps, we will help you control pests from entering into your garden. The method used are all natural, inexpensive and it's organic for your garden. 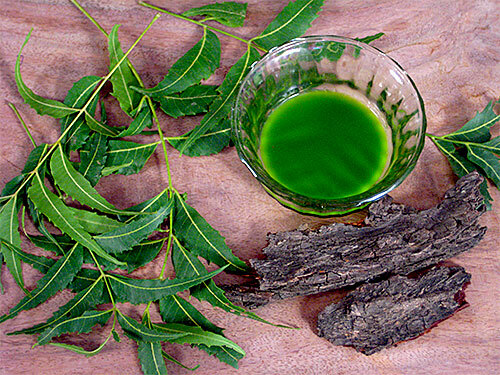 Neem oil was considered a powerful pesticide by the people in ancient India. This bitter tree leaf can be used in spray form or can be bought from companies also. You can also make your neem oil spray at home, simply by adding ½ ounce of organic neem oil and ½ teaspoon of a mild organic liquid soap with two quarts of warm water. Then slowly stir and put the mix into a spray bottle. Make sure you use it immediately. If you have a lot of spider mites infesting your garden, this step will help you prevent it. Add 2 tablespoons of salt into a gallon of warm water and mix them properly. Then spray them on the infested areas in your garden. This pesticide is easy to make. Mix 10-20 ml of high-grade oil with one liter of water. Stir and add it to the spray bottle. This organic method works by dehydrating common pests (cockroach, grasshopper, crickets) and also their eggs. If your garden is infested with ants, this step will prevent it. Just mix 10 drops of citrus essential oil with one tablespoon of cayenne pepper and then add 1 cup of warm water. Shake it well and spray on the affected area. If your garden is overrun with flies, bees and wraps, this natural method will help you. Eucalyptus oil has insect repellent properties, which you can stop by just sprinkling a few drops of eucalyptus oil where the bugs are found. Even before you know it, the bugs will be gone. Insects like slugs, ants and roaches keep infesting your garden, the best natural way to control garden pest is to use soap and orange citrus. To make this, you simply need to mix 3 tablespoons of liquid organic castile soap with 1 ounce of orange oil with a gallon of water. Make sure you shake well before spraying it. It can be sprayed directly on the insects or on an affected area. This treatment is effective against slugs. Onion and garlic are not just used in the kitchen, but also for keeping bugs at bay. The use of onion and garlic act as a repellent to the insects without harming the plants and need of toxic chemicals. Garden insects don't like the sulfur content present in onions and garlic. The best way to use them is by mixing it with water and can be sprayed outdoors where you want to keep the bugs away. You can even plant garlic and onion near other plants as this will naturally repel insects. These beautiful flowers have the power to kill pests in your garden. These flowers contain a potent chemical called pyrethrum that is toxic to insects, but it's safe to humans. You can make this spray at home. You need to take 100 grams of dried flowers and put them into 1 liter of water. Then boil the dried flowers in water for twenty minutes. Strain, cool and pour into a spray bottle, and it can be stored for two months. If necessary, you can even add neem oil to enhance the effectiveness. Tobacco is not just used for smoking, but tobacco is commonly used as a pesticide for killing pests like caterpillars and aphids. To make this, you simply need to take one cup of organic tobacco and mix it with one gallon of water. Then allow the mixture to set overnight. After 24 hours, the mix will turn out to be in light brown color. If the color is very dark, add more water to the mix. It is especially effective when used on plants like tomatoes, peppers, eggplants (solanaceous family). This step is easy and useful to keep in control of insect infestation in your garden. To make, simply grind two handfuls of dry chilies into a fine powder and mix it with 1 cup of diatomaceous earth. Then add 2 liters of water and set it overnight. Shake well before applying or spraying it. These eco-friendly remedies are very useful and productive. While practicing natural methods like these, you can avoid the usage of chemical products in your garden. By trying out these techniques, you can make the garden pest-free organically.